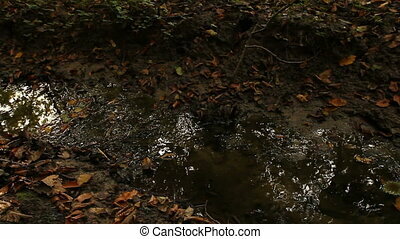 Small muddy creek, stream. 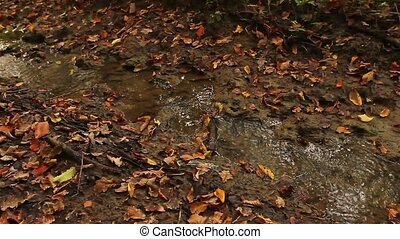 Autumn colorful leaves are in small muddy creek. Autumn colorful leaves are in small muddy creek. 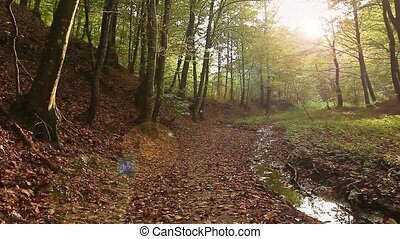 Beautiful scene on forest in autumn orange colors with small creek. 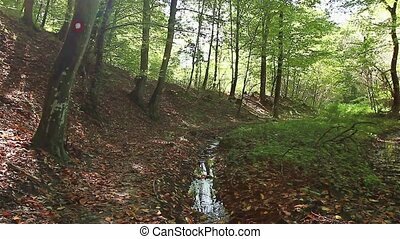 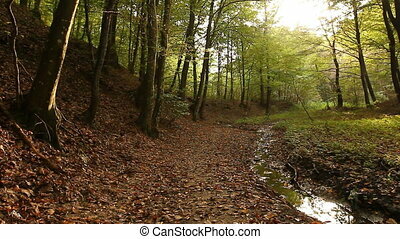 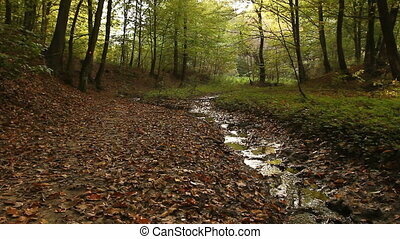 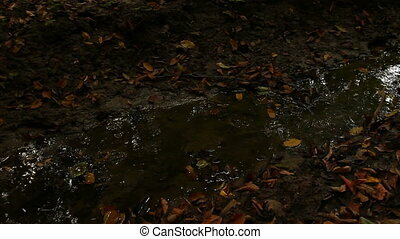 Beautiful scene of forest with autumn orange colors with small creek. Mother with her daughter is walking trough forest next to the small creek.